A local fitness business has suddenly shuttered all of its locations. My Thrive Pilates sent emails to customers Sunday night announcing that it was closing immediately and selling its equipment “to pay remaining payroll obligations.” Several tipsters forwarded the email to ARLnow.com. Content has been removed from the company’s website and its Facebook, Twitter and Instagram pages have been taken down. 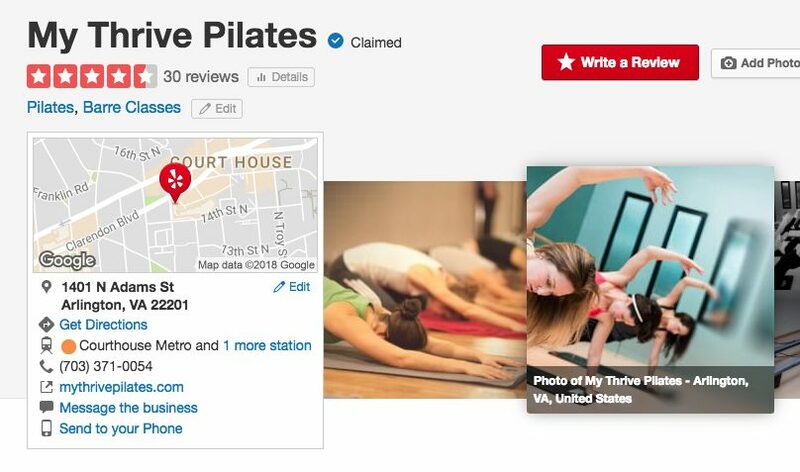 A Google search indicates that it had locations in Courthouse, Shirlington and Falls Church. The fitness studio was well reviewed, garnering a 4.5 star review on the Yelp page for My Thrive’s Courthouse location and 4 stars for the other locations. The full email, after the jump. I regretfully write to share that My Thrive Pilates will be permanently closing all locations as of 8 p.m. Sunday, March 11th 2018. All equipment will be auctioned to pay remaining payroll obligations. I am heartbroken by and apologize for this happening and wish to share that we did everything in our power to keep the studios up and running. We thank each and every one of you for your support. Over the last 7 years we have enjoyed and are grateful for the people who became a part of our community and wish all of you the very best.